Georgian Glassmakers, Project Workshops, Quarley, Hampshire SP11 8PX. Date 9th June 2012. If you want to know how English 18th century drinking glasses were made then this workshop is just for you. You will see practical demonstrations of Georgian glassmaking techniques. 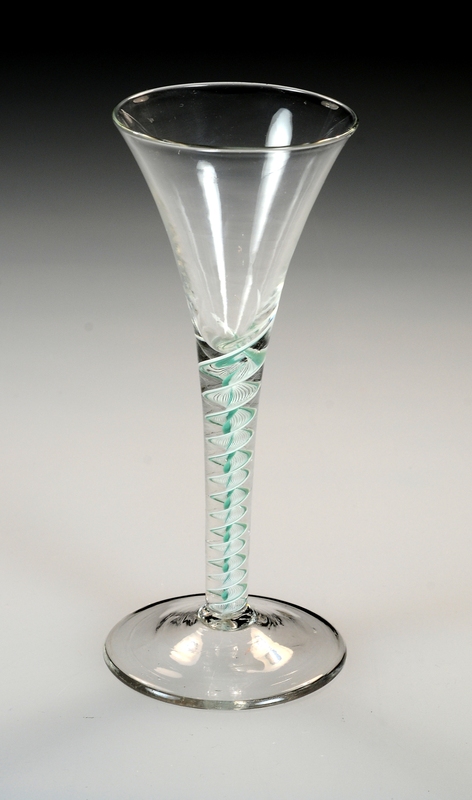 See bowls, stems & feet being made for both 2 & 3 part glasses.